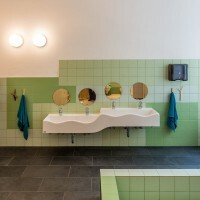 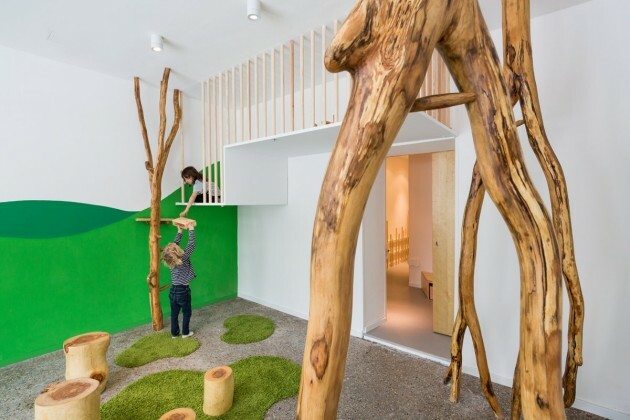 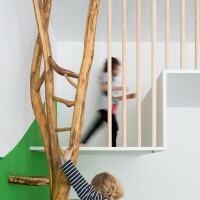 Baukind have designed a kindergarten/day care for Kita Drachenreiter in Berlin, Germany. 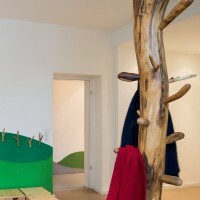 The natural design in shape, material and colors support the pedagogical concept of the kindergarten. 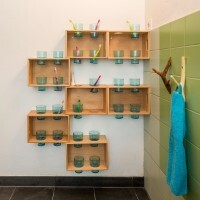 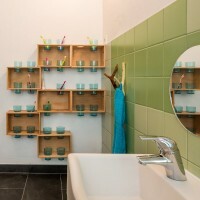 The combination of natural material with a simple, clear design brings calmness and organization into the daily routine. 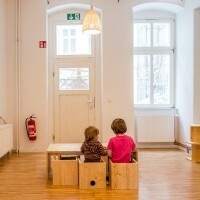 The existing space oft the previous use were integrated in the architectural design. 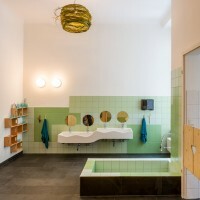 The walls of the former salt sauna were conserved. 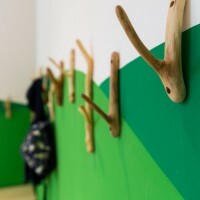 The theme of nature and landscape is also found in wall tiling and painting. 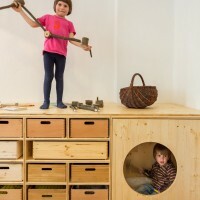 Multifunctional areas and elements were created (Platforms for playing area and caves; tables as a shop for kids).